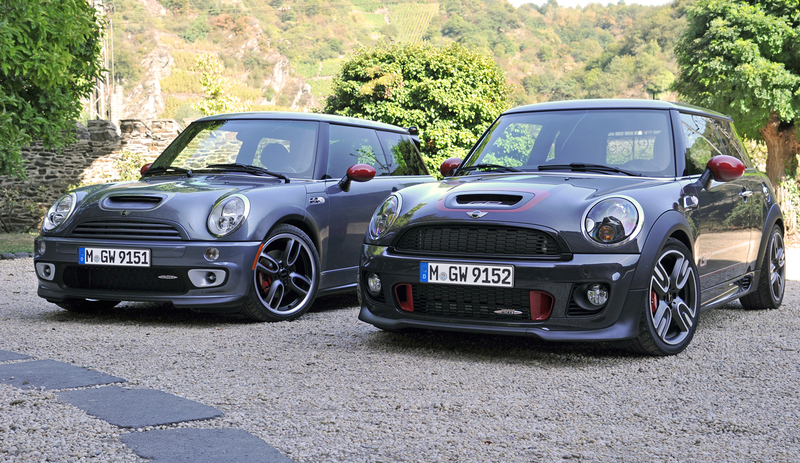 A few weeks ago MINI’s carefully planned launch for the 3rd generation MINI (aka the F56) was rudely taken off script. Over 25 photos were taken of the F56 in various states of undress during a marketing photoshoot. And the reaction to what was seen wasn’t good. 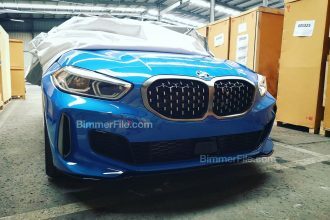 Due to the angle, lighting and the fact that the photos we’re taken using extremely long zoom lenses from far away the F56 did not come out looking good. From what we know of the car the photos didn’t do the overall shape and design justice. 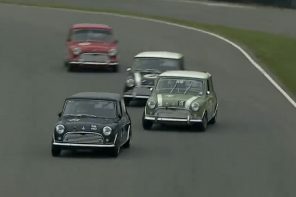 And apparently MINI agreed immediately releasing a rather cheeky PR response. 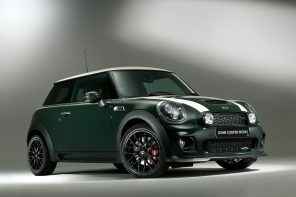 But today MINI is giving us much more on not just the new F56 MINI but the entire future of MINI design. Make no mistake this is a concept car. 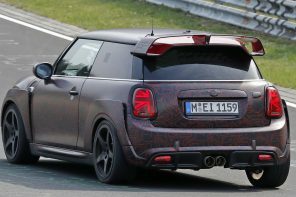 But the overall shape and many of the design features here are lightly disguised versions of what we’ll see on the F56. With Anders Warming now fully leading the design team there’s never been a better time to take a step back and look at the future of the brand. From what we see here and what we know, it looks pretty bright to us. But we’ll let you be the ultimate judge after seeing the gallery, reading the interview and watching video after the break. Official Release: At today’s MINI Design@Home event Anders Warming, Head of MINI Design, previews a sampling of visionary design and innovative ideas. 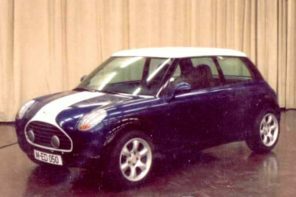 The MINI Vision, for example, showcases various elements of future MINI design. 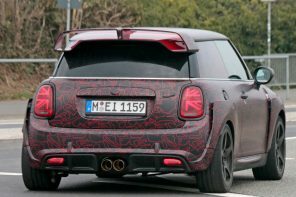 Here, MINI has developed a vehicle design laced with new creative impulses that advance the cause of premium quality in the compact class. 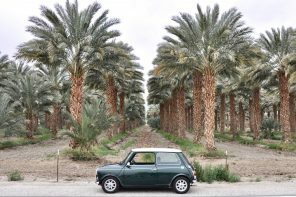 In customary MINI fashion, the MINI Vision seizes the limelight with creativity, individuality and a generous helping of versatility. 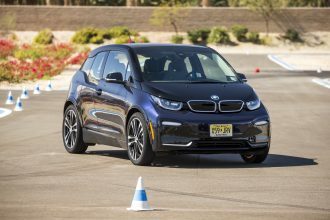 Interactive gadgets such as the Driving Experience Control switch offer a glimpse of the future. 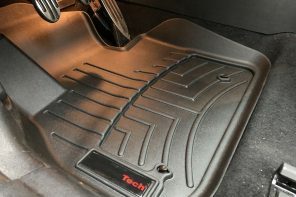 This particular feature allows the whole of the car’s interior to be transformed into a variety of different colour and experience worlds in the blink of an eye. 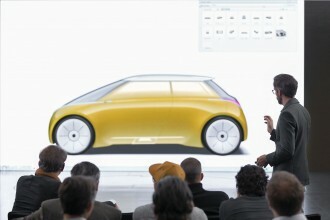 The presentation of the MINI Vision is based around a virtual 3D hologram. 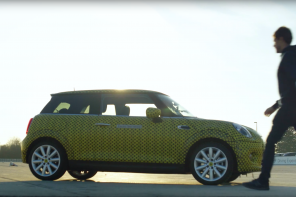 This form of expression provides a window into how the MINI designers go about their business. Complementing their familiar toolset of sketches and 1:1 clay models, virtual reality allows them to test and fine-tune creative ideas quickly and under realistic conditions. The exterior: a perfect balance between old and new. 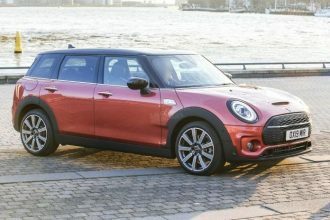 The design of the MINI Vision reaches pointedly into the brand’s past and combines the underlying features and values of MINI with future-focused aesthetic and technical innovations. 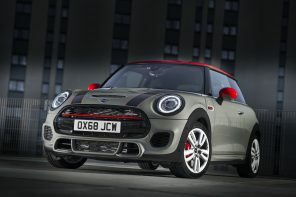 The hexagonal radiator grille is inspired by the classic Mini, for example, and the MINI Vision integrates both the bumper and auxiliary lights into the grille. 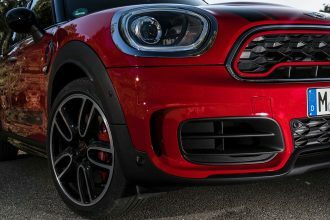 The traditional and unmistakable rounded MINI forms are reflected in the exterior through elements such as the elliptical full-LED headlights. 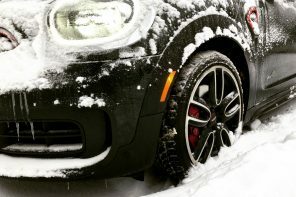 Their outer ring emits a consistent light and fulfils a daytime driving light function. 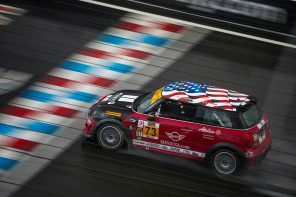 Among the stand-out signature features of the MINI brand are the clear separation of the roof, glasshouse and body. 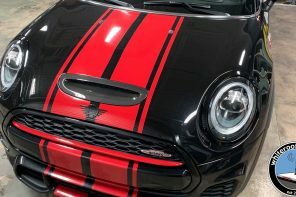 The chrome strip wrapped around the top of the body, the distinctive side indicator element and the black band framing the lower edge of the car are all hallmark MINI styling elements. 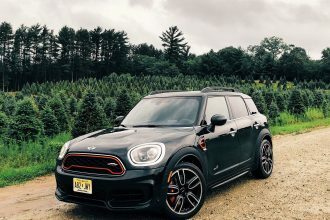 The MINI Vision presents these three defining design elements as a flowing, interconnected unit – conjured from innovative and lightweight “organo metal”. This extremely mouldable but also very strong material is produced by pressing various fibres into a composite. Organo sheets have a unique texture comparable to that of fabrics. 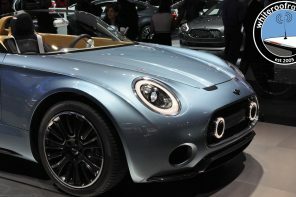 Alongside lightweight construction techniques, aerodynamics also play a frontline role in the conceptual ideas behind the MINI Vision. 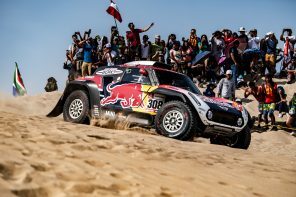 The car’s body includes an aerodynamic air intake and outlet around each front wheel arch, airflow-optimised wheel rims and exterior mirrors, and an integral, air-channelling roof spoiler. 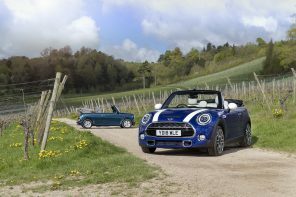 At the rear, muscular shoulders lend the MINI Vision extremely sporty and compact proportions. 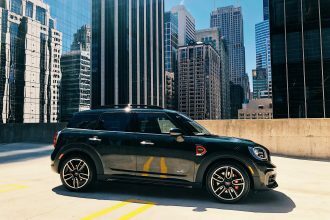 The finely drawn and clearly defined edging in the car’s bodywork is central to the exterior design language of the MINI Vision and underlines the concept’s precision and sporting intent. The interior: originality and creativity packed into a very small space. 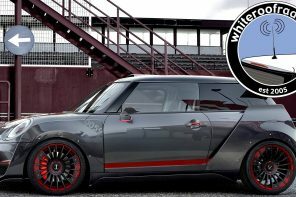 The interior of the MINI Vision stands out with its individual style, variability, functionality and aesthetic appeal. 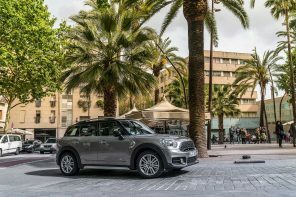 The fundamental idea behind the MINI brand – of providing maximum comfort within minimal exterior dimensions – filters through every detail of the interior. A transparent and open cockpit, sweeping doors and a “floating” centre console allow the driver and passengers to experience the sensation of a wide open space coupled with the benefits of a space-saving small car. Lounge seats featuring dynamic piping add the finishing touch to the unique interior ambience. 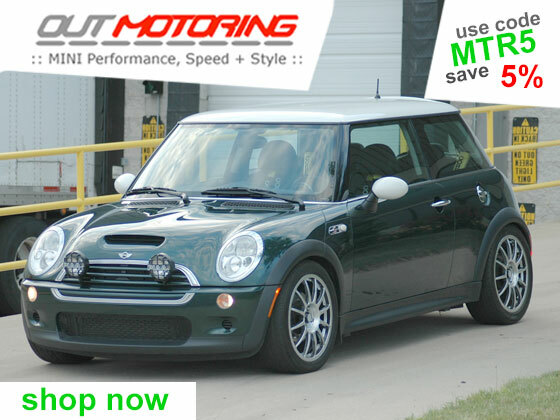 The creative design solutions have been brought together with established pillars of MINI design. For example, the elastic fabric straps on the insides of the doors – arranged like the stripes of the Union Jack flag – are a nod to the brand’s British heritage. However, the stretchable straps have a functional as well as stylistic role: these flexible retaining devices are designed to hold a magazine, mobile phone or drinks bottle within easy reach. 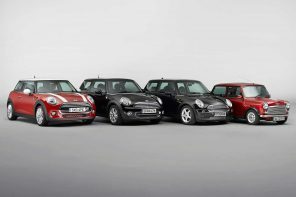 The fresh layer of variability added by the MINI click system offers additional scope for customising the interior. Smartphone holders, a storage box, cup holder or small safe can be attached and removed in a single movement as and when required. 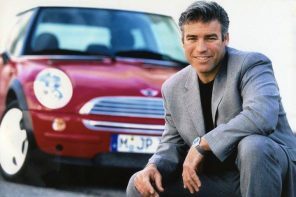 The interior of the MINI Vision as a whole can also be adapted to a variety of interaction requirements with similar flexibility and immediacy. The Driving Experience Control switch allows the driver to choose between a pure and focused or fully-interconnected mode. The two modes are expressed in different colours using calm, clear light and dynamic, energy-charged shades. Another highlight of the fully-interconnected mode is the “MINI Disco” floor. Here, an expressive interplay of colours, light and forms transforms the footwells as the MINI Vision appears to come vibrantly to life. 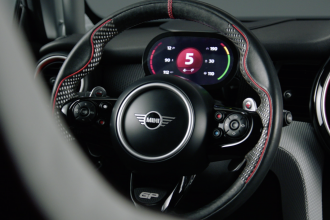 As well as turning the ambient colour scheme of the interior on its head, the Driving Experience Control switch also changes the face of the familiar MINI circular central display. Depending on their selection, drivers will be met by either a classic, analogue-style view or an impressive 3D look, which gives the full suite of display elements an unaccustomed depth. Colours and materials: structures form characters. 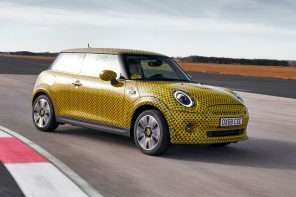 The Glamorous Gold paint finish – a shimmering gold-tinged orange tone – has never been seen before in the history of MINI design. And the use of organo metal creates an intriguing contrast to this gleaming metallic shade. 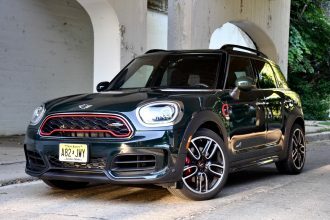 The organo metal adds highlights not only to the outside of the car, but also to the interior, its unique structure lending the MINI Vision a cutting-edge character. A tough, dark-blue fabric recalling the properties of a high-quality suit is employed for the seats and sections of interior trim. 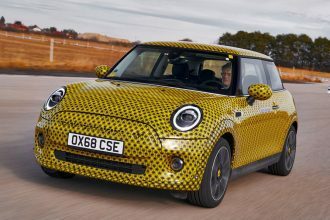 The seamless transitions of the various materials between the interior and exterior bring consistency to the MINI Vision despite the use of different materials and textures. 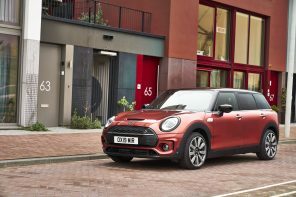 Its unbeatable scope for personalisation and an extremely sporty and precise design make the MINI Vision the perfect partner for the road, tailored to the needs and preferences of the individual driver. 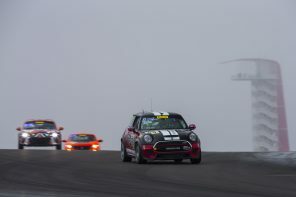 This design vision demonstrates that MINI will continue to use intelligent variability, imagination-capturing technology and a compact sporting presence to deliver unrivalled driving fun over the years to come.